"Your job as a baseball player is to come to the park ready to play every day"
Thank you for visiting my Cal Ripken Collection site. My collection has over 10,000 different Cal Ripken cards, and grows every week. 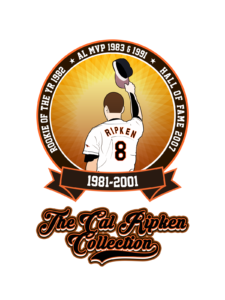 I have scanned my entire collection and posted it here for both my own personal enjoyment and so that other Ripken Collectors may reference the site while looking for specific cards. Click to Visit My Collection!